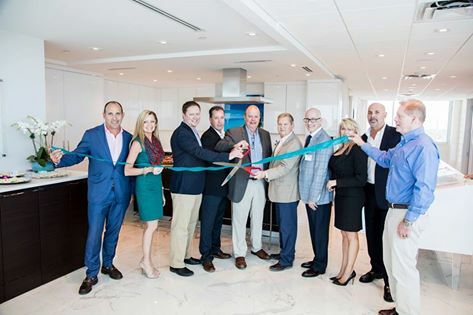 Last month Wieland celebrated the opening of the new sales Center for VistaBlue Singer Island Condos in West Palm Beach, FL. Wieland is constructing this 19-story tower on the Atlantic Ocean, which will feature 58 private residences. Shown in the photo are employees from: Glidden-Spina architectural firm; Wieland; Third Palm Development; and Keyes Realty, who will be selling the units. For more information see the video link.